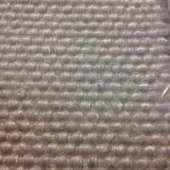 Industrial Fiberglass Cloth | GarCo Manufacturing Co., Inc.
24-oz woven roving thermoglass fabric of a medium weight in a plain weave. 40-in and 60-in widths. 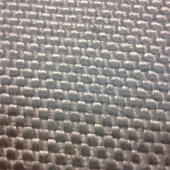 30-oz woven roving thermoglass fabric of a heavier weight in a plain weave. 40-in and 60-in widths. 32-oz woven thermoglass roving medium weight fabric. 40-in and 60-in widths. 35-oz woven roving thermoglass fabric of a heavier weight in a plain weave. 40-in and 60-in widths. 35-oz Industrial Quality Fiberglass Cloth. Also available coated with Blue Vertex. 40-in and 60-in widths. 64-oz woven roving thermoglass fabric of a very heavy weight and in a plain weave style. 40-in width. This entry was posted on August 31, 2015 by GarCoMfg in Amatex, Fiberglass, Insulation, Textiles, Woven and tagged Amatex, Amatex Broad Cloth, Cloth, Fiberglass, Industrial, insulation, Textiles.